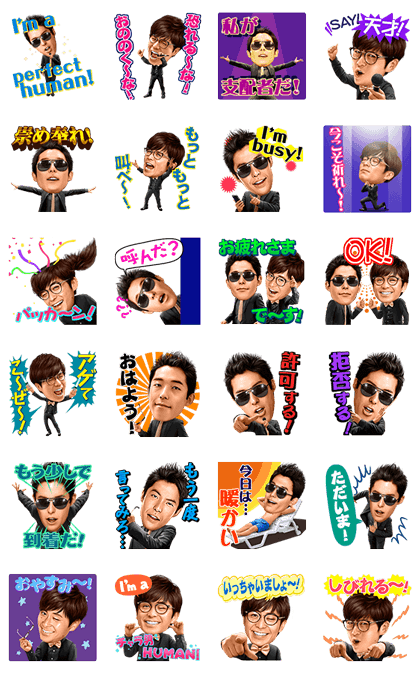 http://www.line-stickers.com/ – Perfect Human Singing Stickers Line Sticker | Radio Fish delivers stickers for Perfect Human, featuring sound from the original album! When tapped, these stickers will play on iPhones even in silent mode. Copyright : YOSHIMOTO KOGYO CO.,LTD.